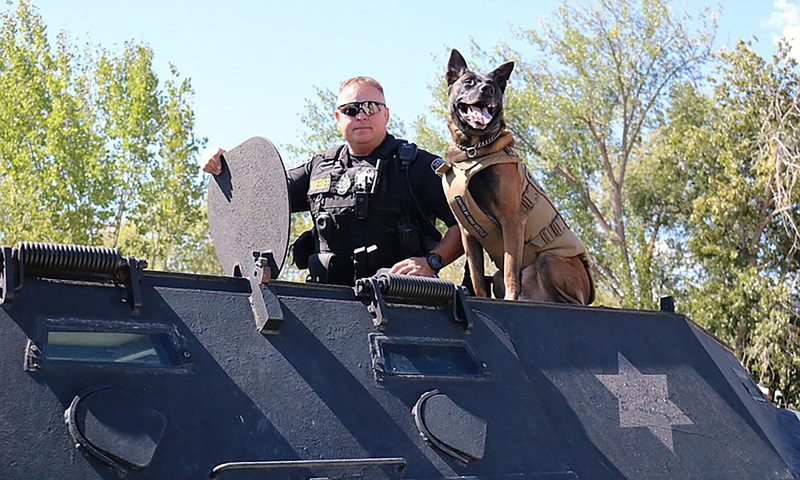 SPOKANE, Wash. – The K9 handler in the Okanogan County Sheriff’s Department could soon be cruising around in a cool new SUV. If you take the time to cast a vote. Vested Interest in K9s, is a non-profit organization that gives bullet and stab protective vests to law enforcement dogs across the county. At a discounted price, they’ve given more than 3,000 vests to law enforcement departments all 50 states since 2009. Now they’re giving away something big. It’s a Chevy Tahoe PPV sports utility vehicle. One of the finalists for this prize is the Okanogan County Sheriff’s Department.